In March 2016, a university student flying back from a conference in Vienna to his family in London was removed from the flight before take-off and questioned by Austrian police for several hours. Why? Because he had sent a text message to his wife letting her know that the flight was delayed, and he’d sent the message in Arabic. He was reported as a security concern by a fellow passenger. In August 2017, an Afro-American woman having dinner in a restaurant in India was asked by the owner as he cleared away her plates: “are blacks better in bed because of genetics or diet?”. Earlier on that trip she had woken up on a bus to find a man inches away from her, videoing her on his phone; he told her it was for Instagram. Last year, the home-sharing and holiday-rental provider AirBnB created a partnership with NAACP (National Association for the Advancement of Colored People) to help combat the high-level of discrimination that people of colour often faced when trying to make reservations. This year, there were still numerous reports of such booking systems routinely discriminating against guests with “African names” and refusing their reservations. Other instances of discrimination, harassment, abuse, and profiling that many people of colour face when travelling are sadly too numerous to list. The social-media hashtags #TravelingWhileBlack, #TravelingWhileMuslim, and several other iterations of the #TravelingWhile label, go some way to painting a picture of how different the traveling experience can be for BAME (Black, Asian, and Minority Ethnic) travellers as compared to white travelers. And the social-media picture is still only a small part of the whole gallery of BAME-traveller experiences. 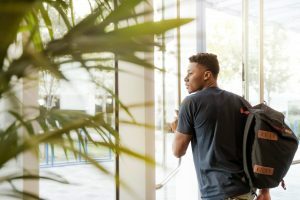 Given this information, do companies have an additional duty of care to their BAME employees when sending them on business travel or overseas assignments, as well as the standard security and safety information? Most companies currently base their security policies and procedures around traditional security metrics and risks such as crime, terrorism, social unrest, natural disasters, and infrastructure. Most only require employees to undertake training if they’re travelling to a medium-high risk destination, or they restrict travel to high-extreme risk destinations. Does this create a biased system that means although some countries may be classified as “low risk”, that risk is only low for non-BAME travellers? Germany, Russia, Greece, Spain, Italy, Thailand, China, and South Korea all have a low-medium travel-risk rating according to the UK and US travel-advisory sites and most commercial travel risk maps. However, these countries have been named amongst the worst countries for BAME people to travel to in terms of the potential for racial discrimination and harassment. A BAME traveller may therefore have a very different experience of airport security or using public transport in these countries than their non-BAME colleagues, despite both being in a “low risk” country. Failing to recognise these risks could lead to disruption and complication at best, and extreme distress and harm at worse. 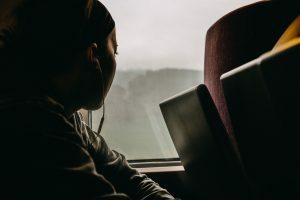 Many organisations have already started to recognise this reality, just as they have taken note of the additional challenges that women and LGBTQ+ travellers may face, and have put in place additional systems and support networks accordingly. The goal is not to suggest that BAME, women, or LGBTQ+ travellers are weaker, less capable, or necessarily more vulnerable, but to acknowledge that they can and do face different obstacles for which support and preparation are necessary. For example, the Diversity Network, an organisation that works with American Universities to advise them on their study abroad programmes, recognises that BAME students may face more discrimination when travelling than Caucasian students and recommend specific training and awareness programmes as part of the pre-study abroad programme. Some other organisations have dedicated internal professional networks for BAME employees that offer networking, support and advice: this is also a good forum for raising awareness and providing information on the realities and challenges that BAME travellers may face that are not mentioned in the “standard” security and safety advice. In particular, BAME travellers may benefit from additional specific information on the following areas: airport procedures, hotel reservations and check-in, using public transport, local law enforcement, discrimination, encountering and responding to discrimination/hostility, and where to find specific research resources for BAME travellers. Most organisations in 2018 pride themselves with being equal-opportunities platforms that embrace and welcome the diversity of their workforce as one of their key strengths. However, they need to acknowledge that while they may feel this way, their BAME employees who are asked to travel on behalf of the company may face unexpected or additional risks in certain places where those values may not be shared, or where the employee may feel particularly isolated or vulnerable due to being away from their home-country and support network. Organisations should seek to raise awareness of the form that these risks may take, and basic mitigation strategies to ensure the safety and security of their people. It should be a reminder that when they are travelling for their company they are not alone – the company remains there to support them. Organisations should therefore identify where and with whom responsibility lies for managing the safety of their travellers in general and whether the individual and personal needs of travellers are being captured and met within this current structure (this is often particularly relevant for travellers including women, LGBTQ+ and BAME employees). Following on from the section above, are traditional risk ratings enough to make a comprehensive safety and security evaluation? This responsibility may lie within the Human Capital Management or Human Resources department, within Health and Safety, within Security, within Travel, or within individual faculties and departments. Those responsible may then want to work with internal BAME Networks (if the company has one) or external professionals to put together a comprehensive programme of training and information that is relevant, useful, and easily accessible to those who require it. Why not put the subject on your next team meeting’s agenda, and see where it takes you from there? This is one of many interesting topics being discussed at The Future of Travel Risk Forumon December 5th in London.